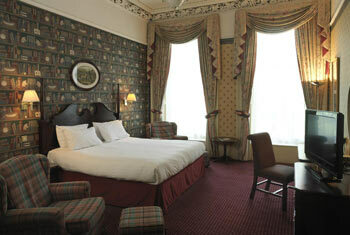 On-airport hotels are within the airport grounds and are therefore just a short distance from the Edinburgh terminal. You'll be able to leave the hotel and be at the terminal within minutes. You won't have to start your trip with a long, early morning drive and youll get a superb deal with HolidayExtras.com®. We can save you up to 40 per cent on the standard price and all of our prices are covered with a Best Price Guarantee. The start of a holiday can't get much easier than with an Edinburgh on-airport hotel. Why pre-book an on-airport hotel? You can make great savings of up to 40 per cent when you book in advance with HolidayExtras.com. By booking as early as possible when the hotels at Edinburgh airport still have good availability, youll guarantee your choice of room at a minimum price. Which on-airport hotels are available at Edinburgh? 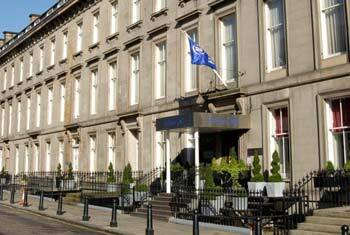 The Hilton Edinburgh Airport is the only Edinburgh on-airport hotel we offer. Nonetheless, it's one of our most popular hotels because of its proximity to the terminal. The hotel is just a two-minute transfer from the airport. All rooms are modern and offer a warm and cosy atmosphere, with beautiful, unique furnishings and 4-star service. A fantastic gym with extensive cardio equipment, a large heated pool, a steam room and a sauna make the Hilton Edinburgh Airport the best way to start your holiday in style.